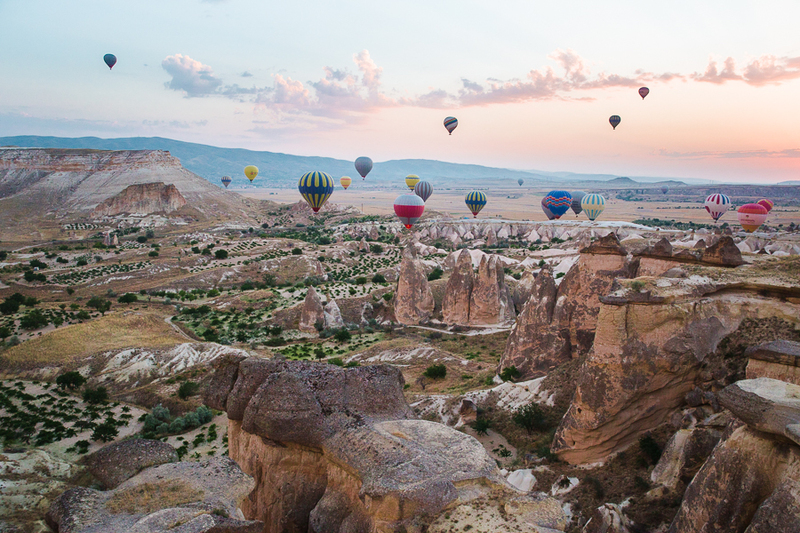 When we stepped off of our in-country flight from Istanbul to central Turkey we looked around and almost wondered if we’d stepped into another planet – or at least a science-fiction story. 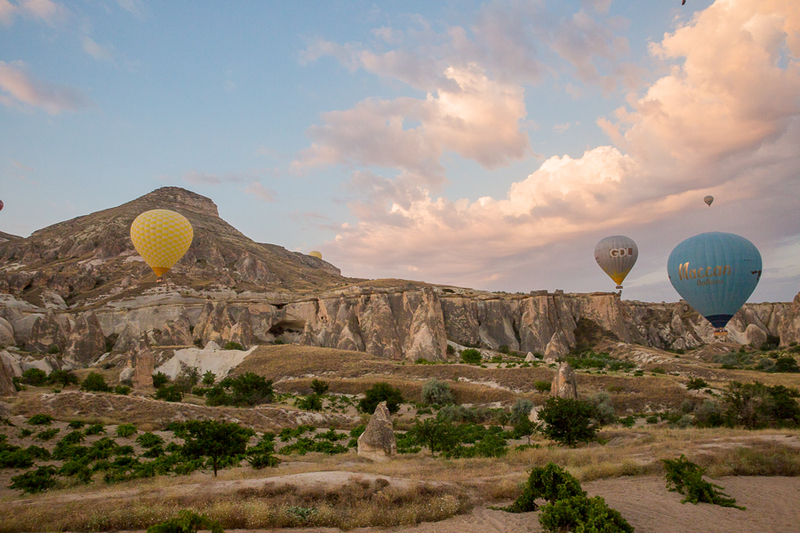 The landscape of Cappadocia (a name we heard pronounced about 25 different ways so don’t ask us how to say it) is breath-taking and incredibly unique. 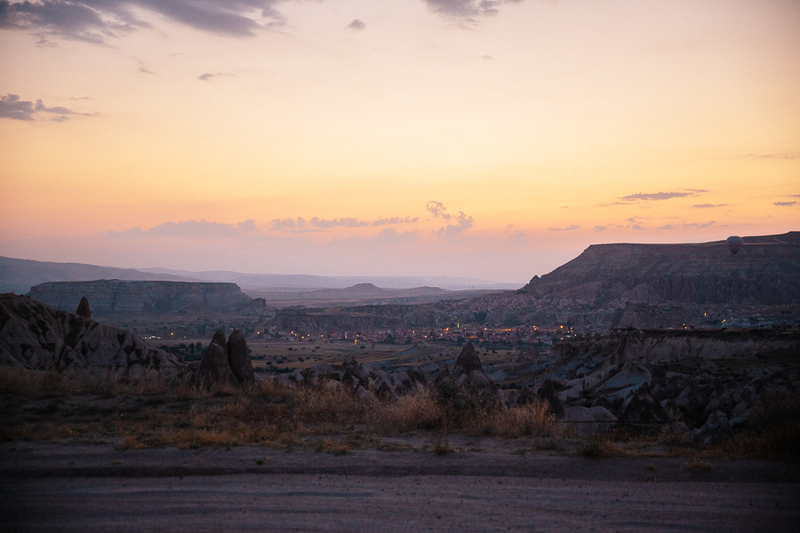 When we were researching the region we continuously saw it described as ‘other-wordly’ and now that we have been there I feel that it is the best description I could give. 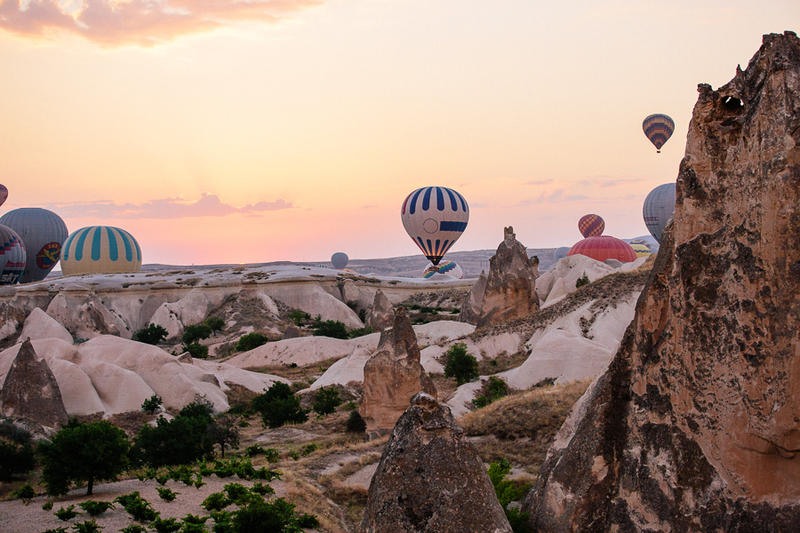 The region is known for it’s rock formations, often called “fairy chimneys“, that are scattered around the landscape -and once housed monks and ancient Christian communities. 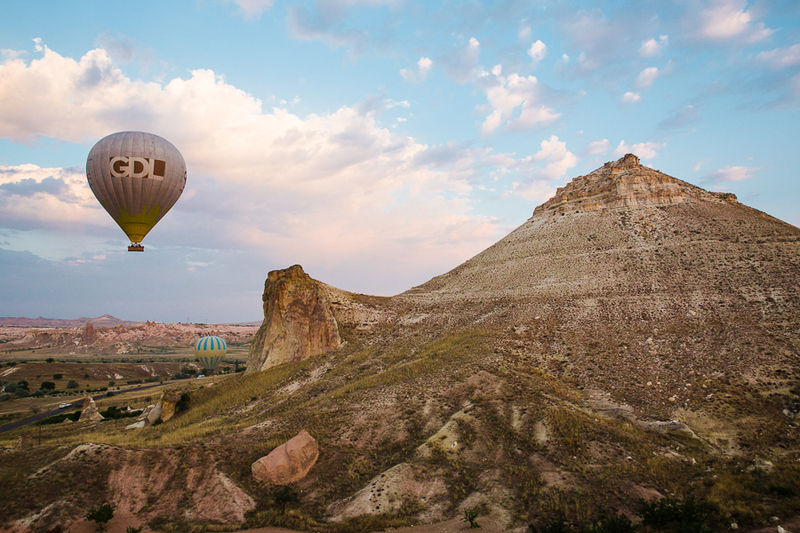 In more recent years the local community began taking hot air balloons above the canyons in order to get a sweeping view of the landscape. 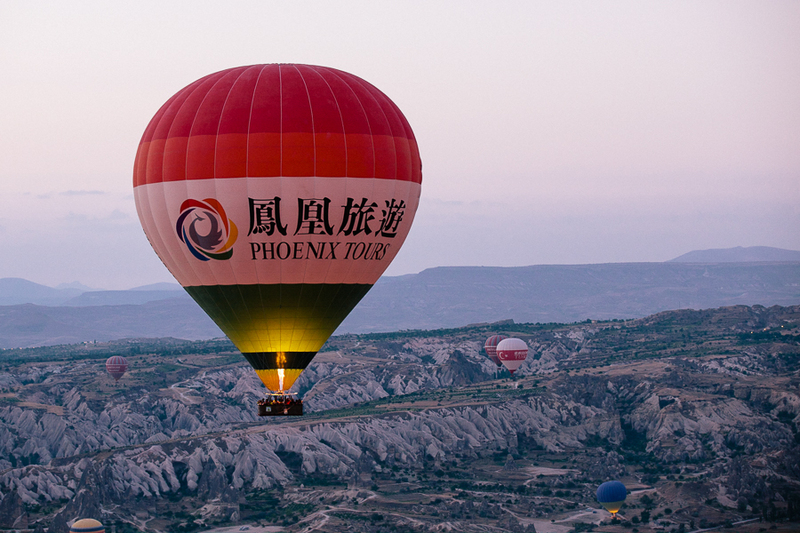 Tourists became interested in these sunrise rides and the business has taken off (no pun intended – okay fine, yes it was) in a major way. 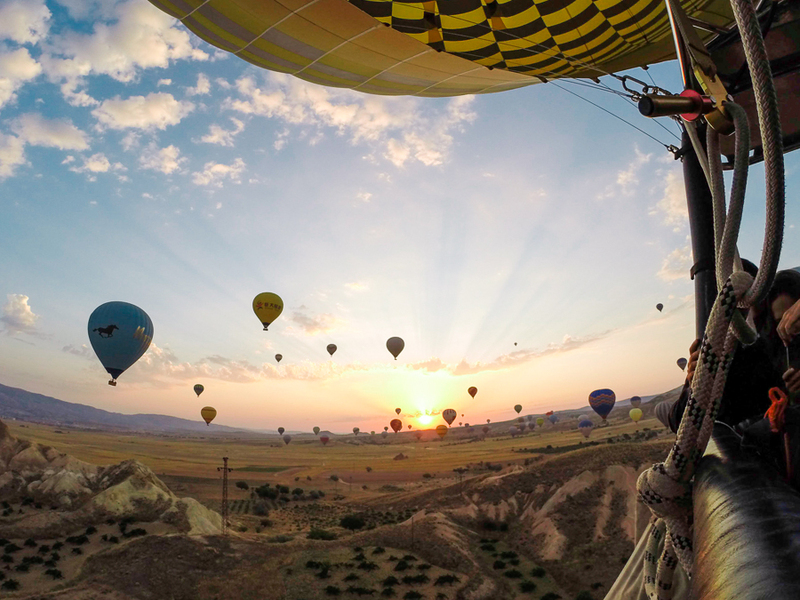 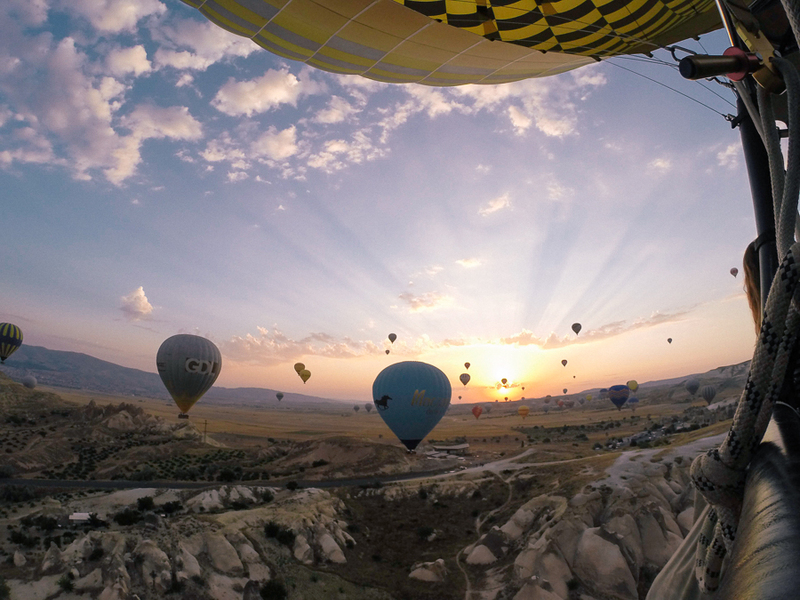 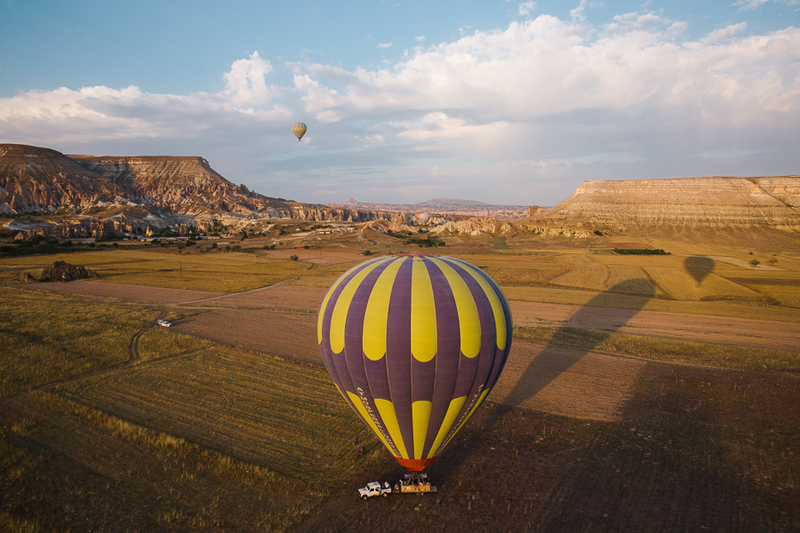 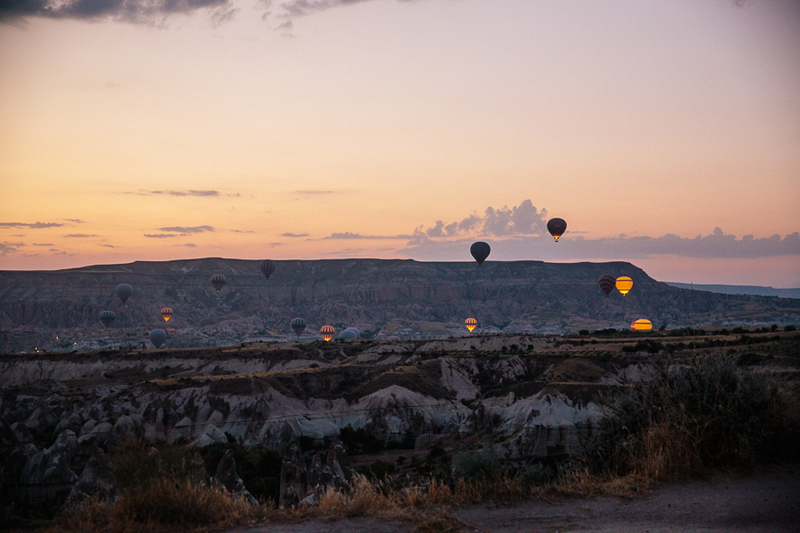 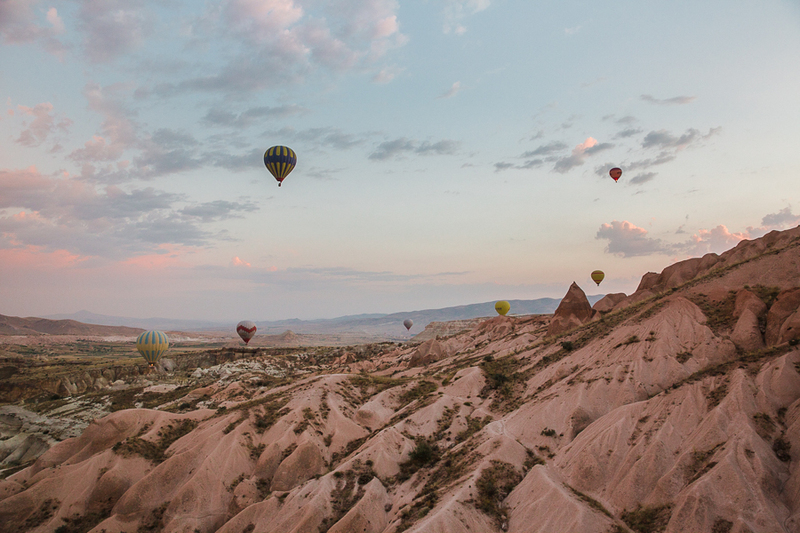 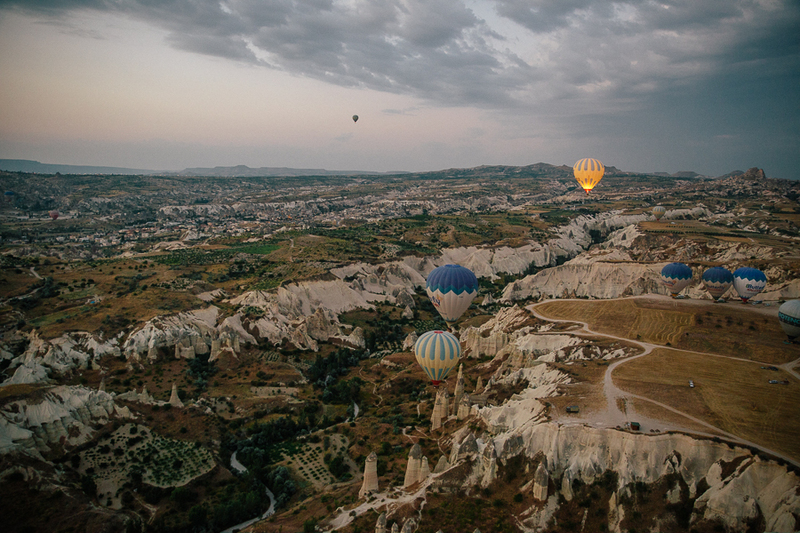 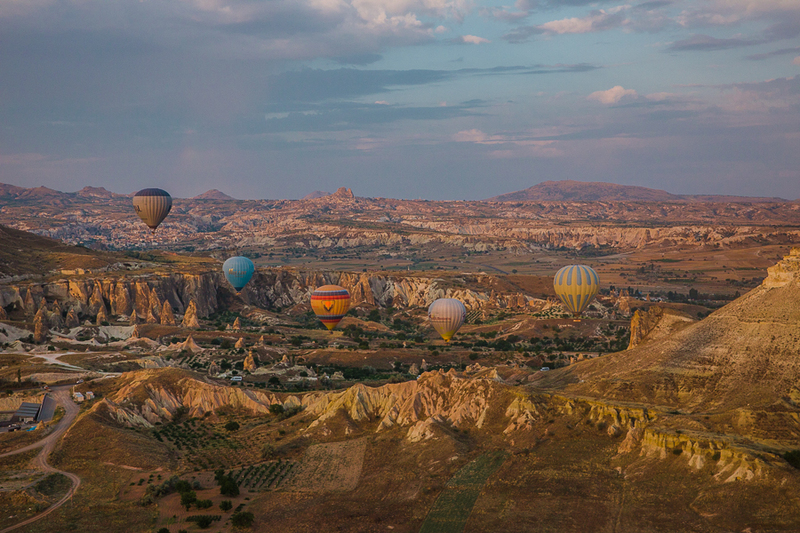 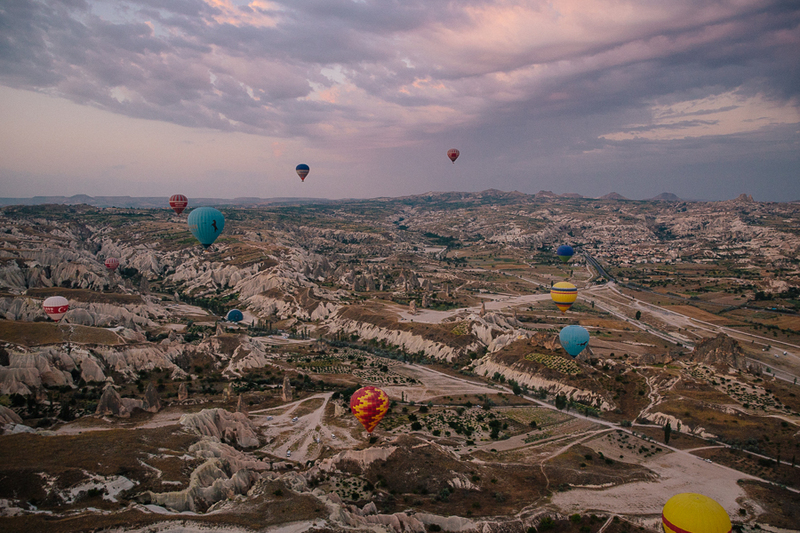 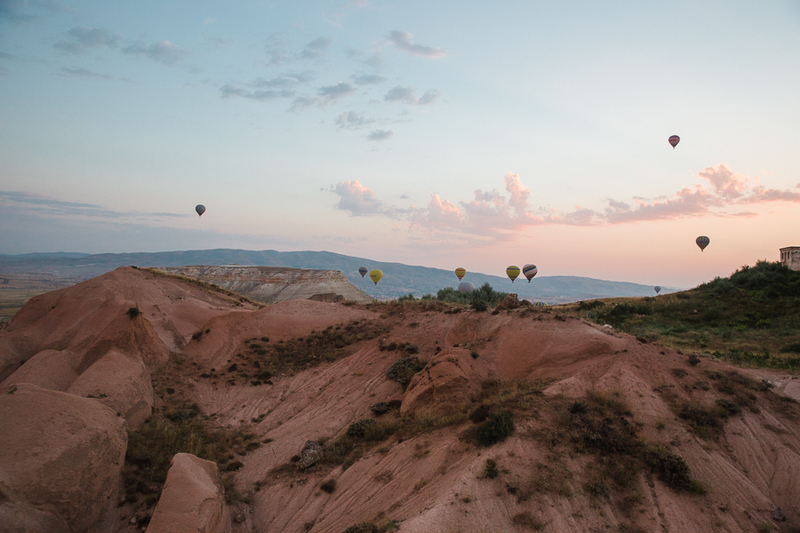 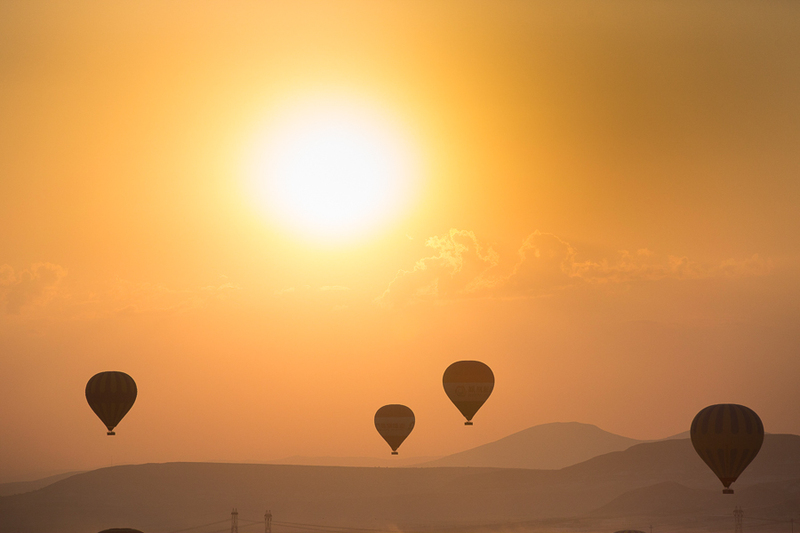 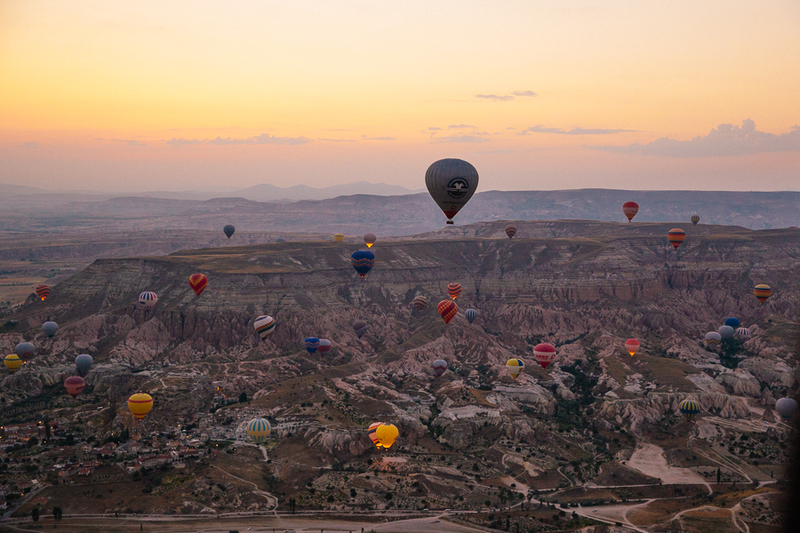 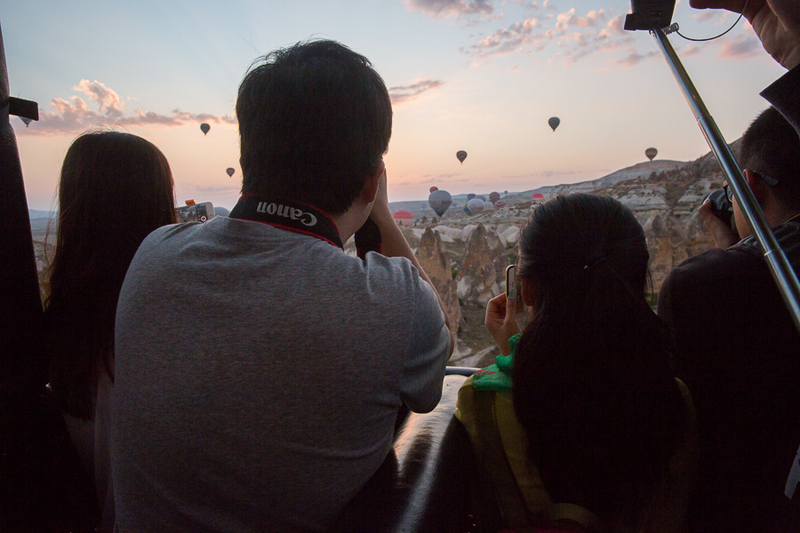 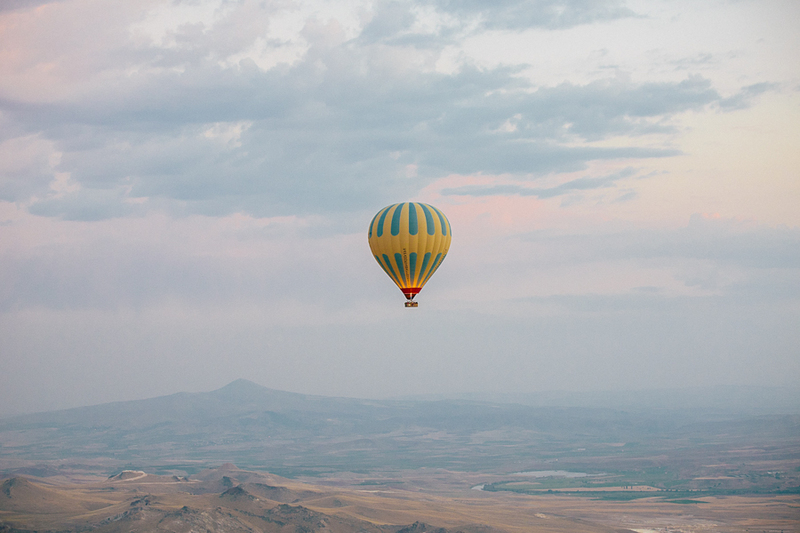 I first heard of these famous sun rise balloon rides on pinterest, but seeing my friend Katie’s photos of her experience was the thing that moved Cappadocia up to the top of my bucket list. 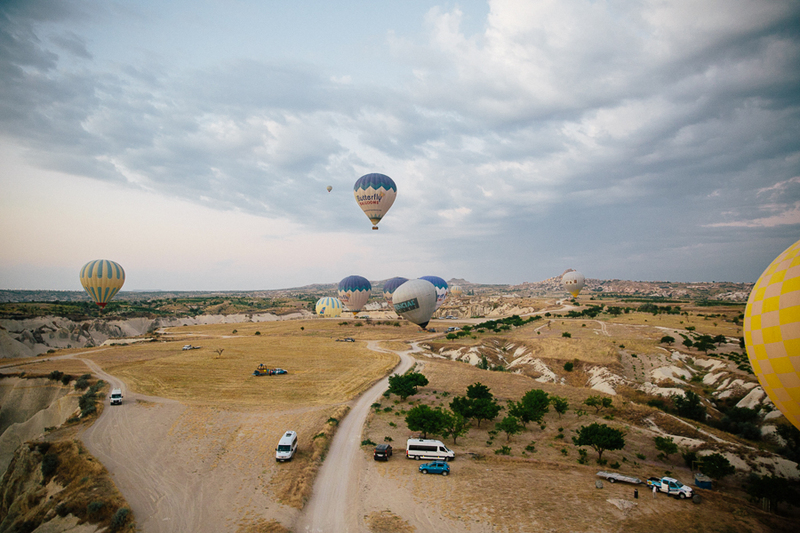 When I discovered that Turkish Airlines was a member of Star Alliance I knew that Turkey was going to be a stop on our way home from Africa – and I am so glad we made it! 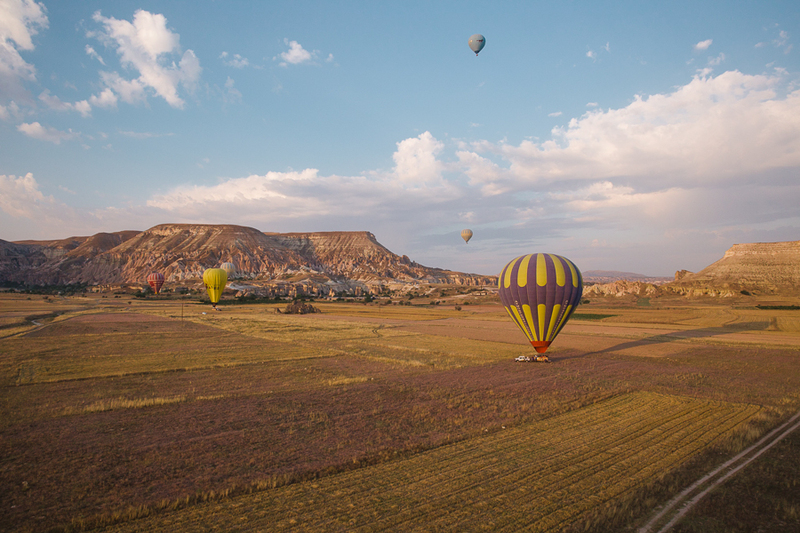 Before I jump right into photos from our beautiful hot air balloon ride I feel I must properly introduce the story, lest you start to believe that our travels are always all sunshine and rainbows. 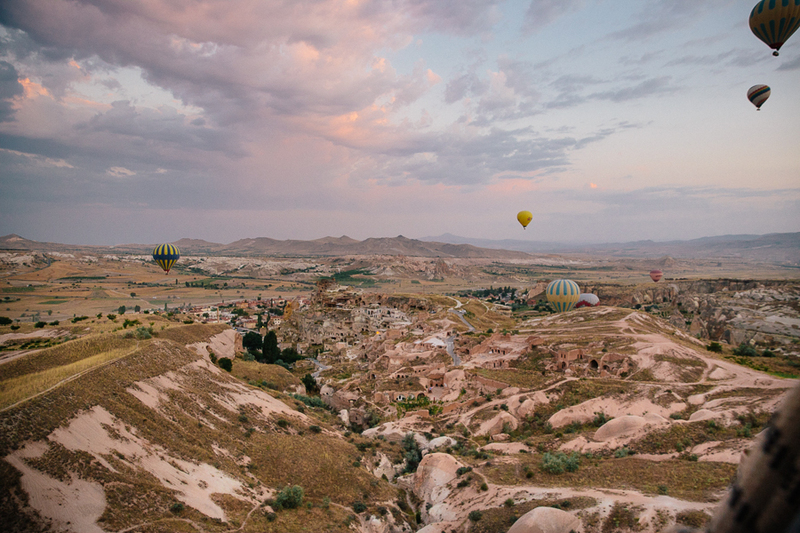 I ended up with a bad case of food poisoning the week we were in Turkey that was compounded by what I later learned was a minor parasite party happening inside me like it was 1999 -so I was pretty tired, nauseous and weak during our time in Cappadocia. 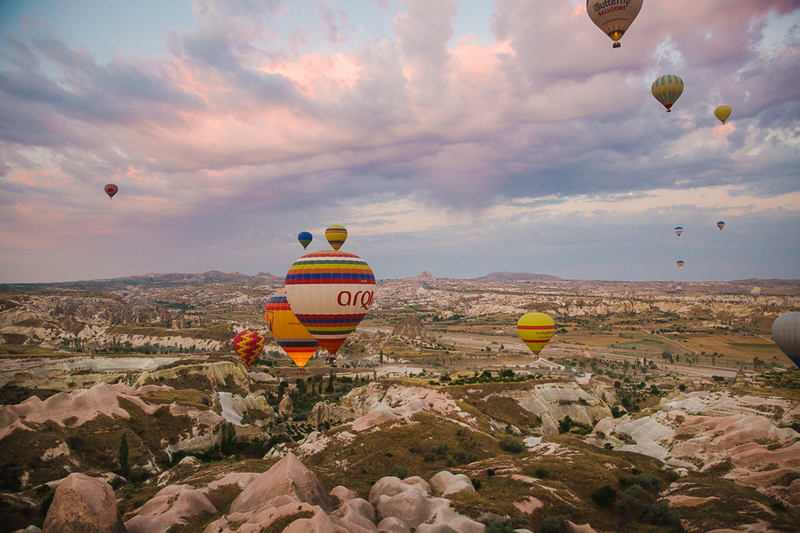 Since we were in Turkey in the summer, the sun rose very early in the day and we were scheduled to be picked up for the tour at 3:45 am (yikes) and I spent the few hours of the night before this hot air balloon ride shaking uncontrollably with fever and nausea…so rough start. 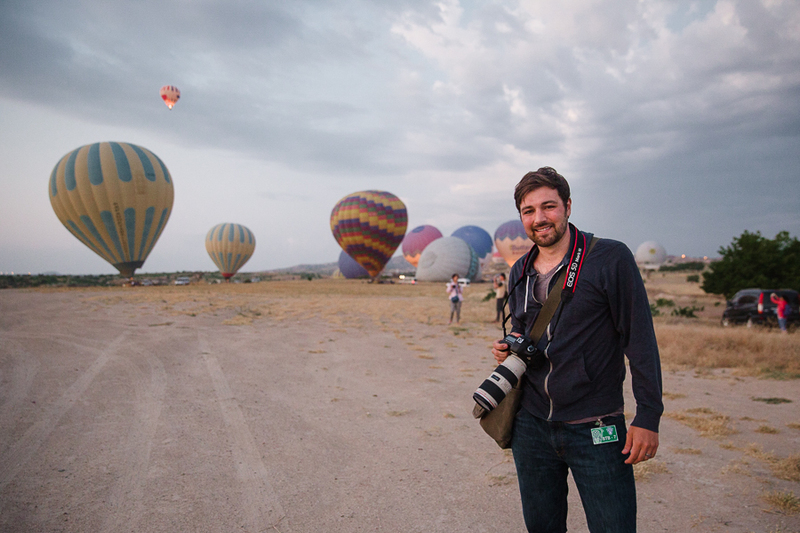 Dave almost made me cancel the ride, but I put on my game face and pretended I felt better (fake it til you make it, am I right?). 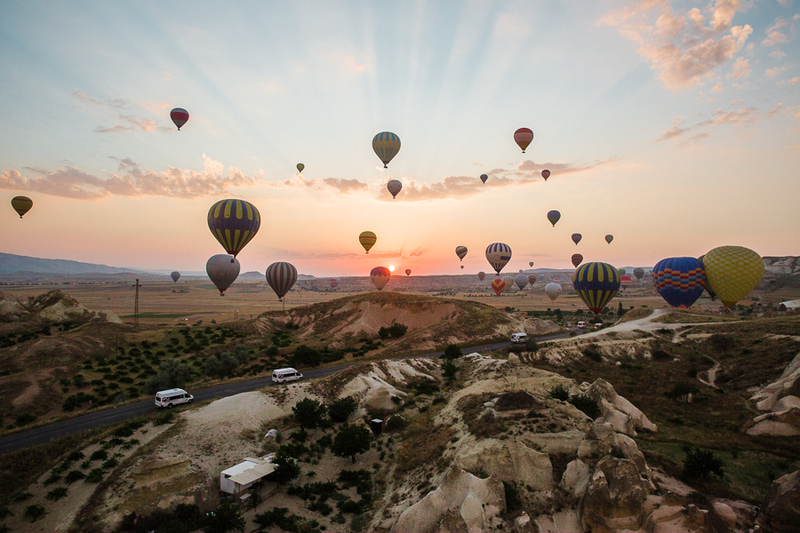 I am so grateful that I felt better during the first part of our balloon ride (thank you adrenaline) bout mid-way through the hot air balloon ride I was having trouble standing and was ready for it to be over. 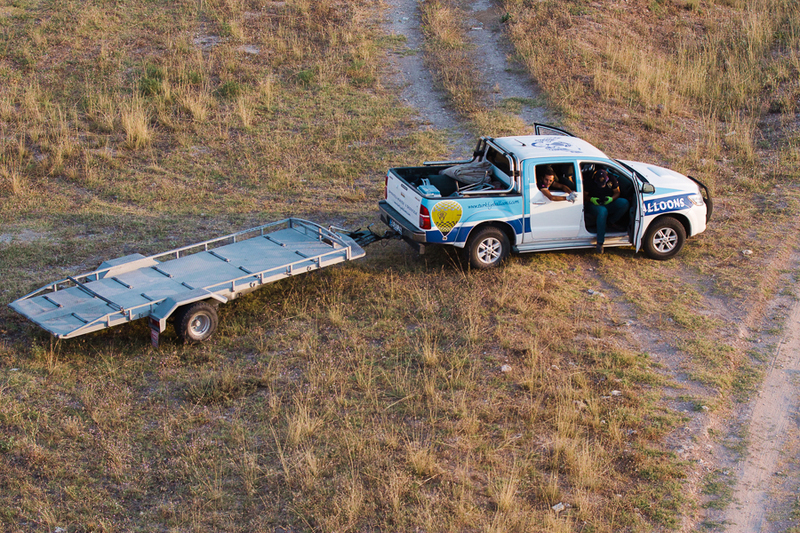 We ended up going to the emergency room a few hours later but the Turkish doctors had me feeling better by night fall. 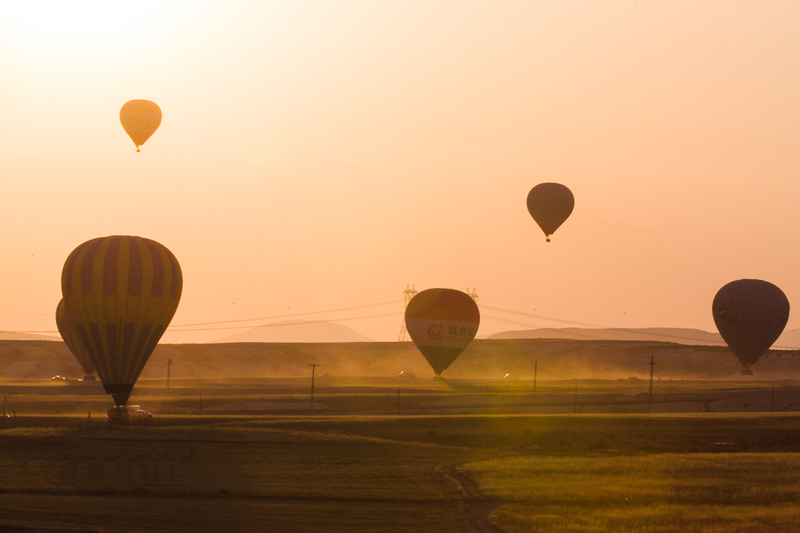 So, no permanent harm done, but my memories from this morning are a little hazy! 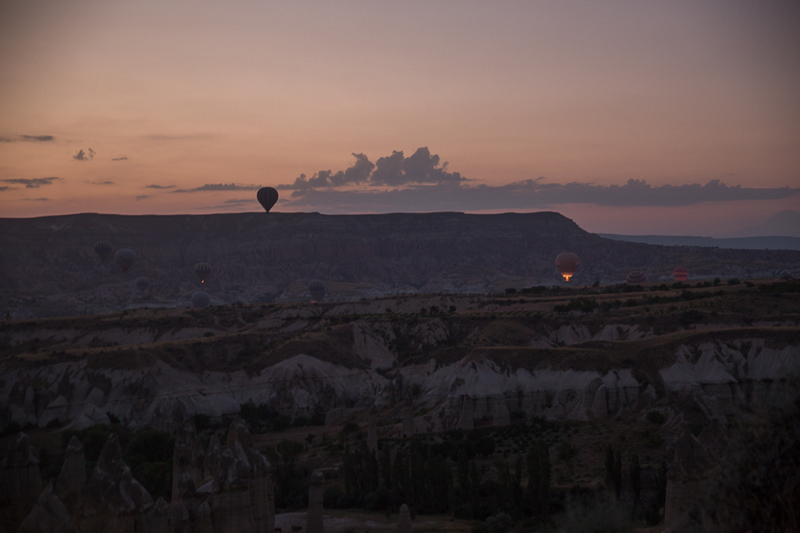 I am thankful I can re-live that morning through photos months later. 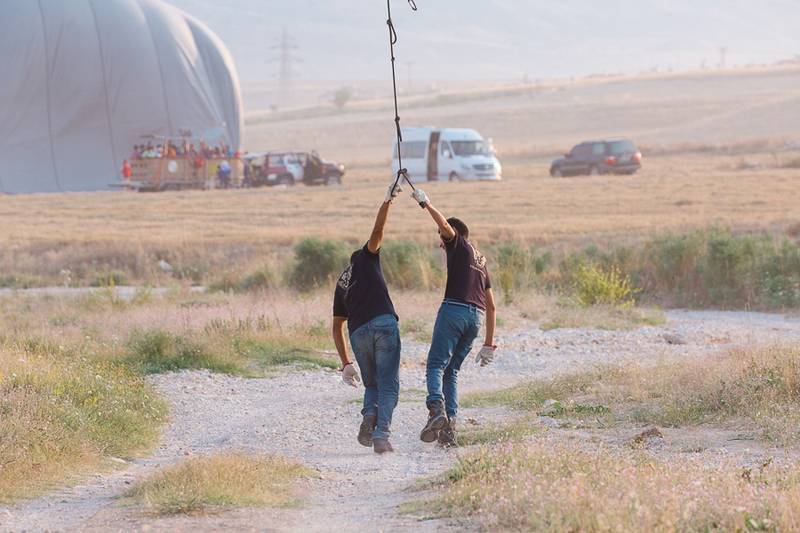 Once they had our balloon inflated and upright they let it float above ground for a minute or so before urging us to hurry and get in. 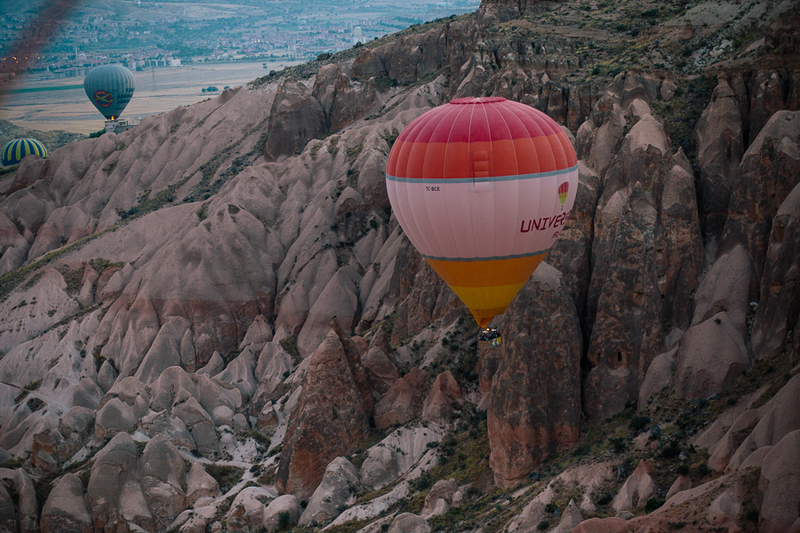 We took a few steps back and jumped up on the basket while they hoisted us over and, before I really had time to panic over my fear of heights, we were off! 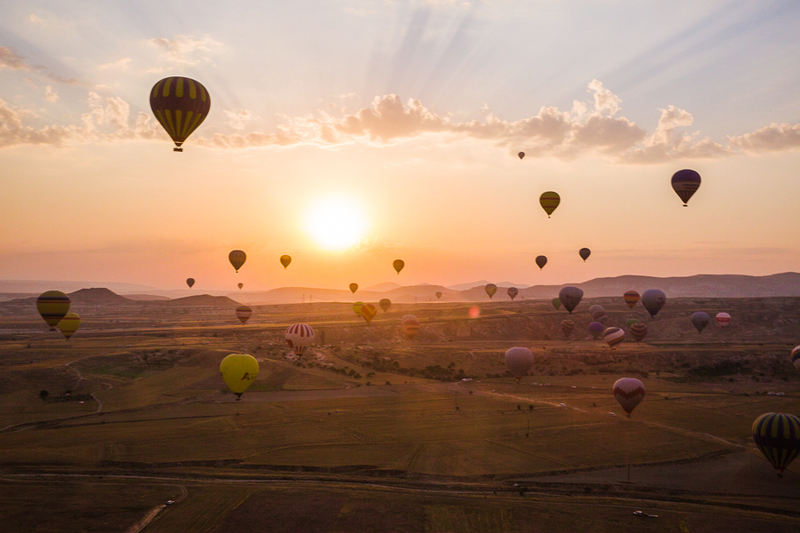 Beautiful right?? 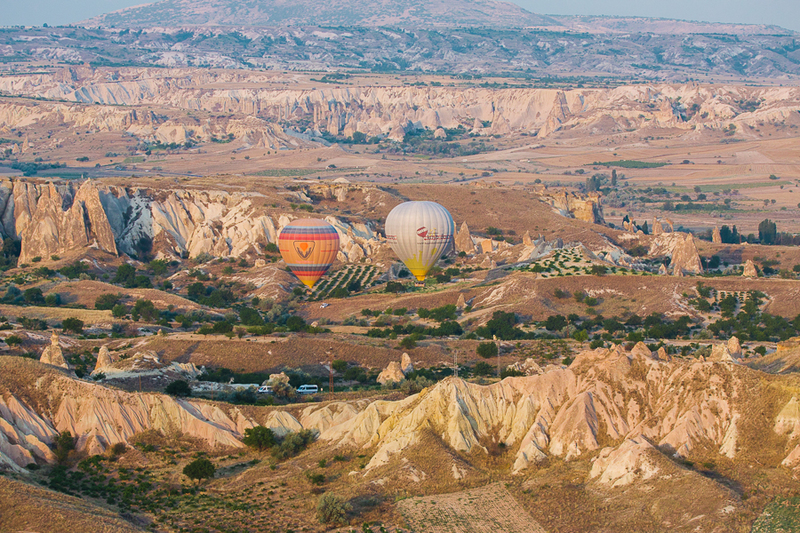 I would have loved to get some more photos of fairy chimneys but they were not on our side of the balloon so our view often looked like the photo below. 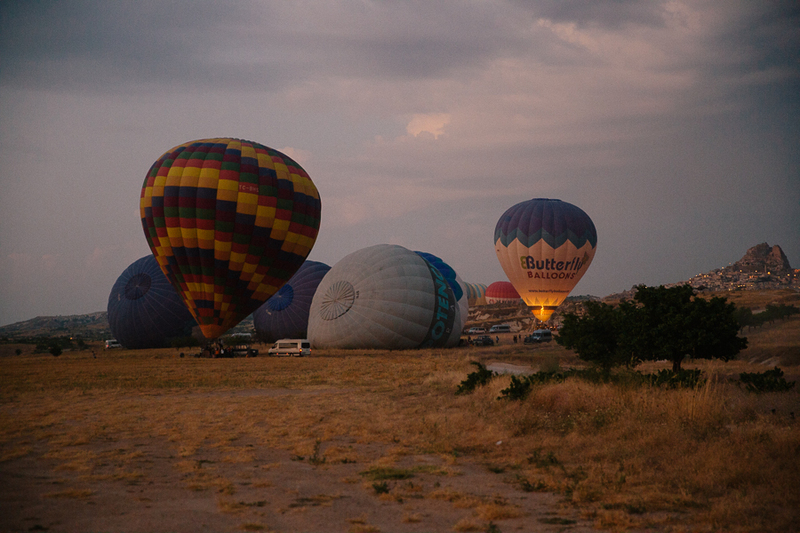 I had no idea that hot air balloons cannot be steered until I was already in one (probably for the best). 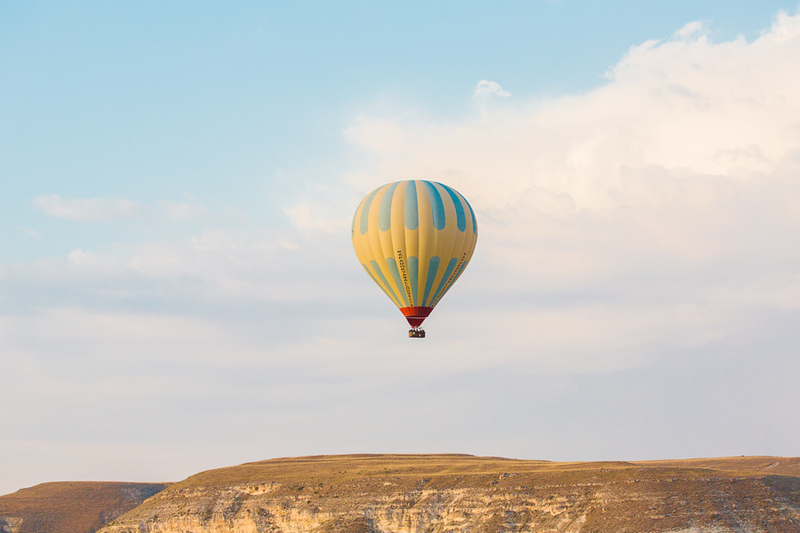 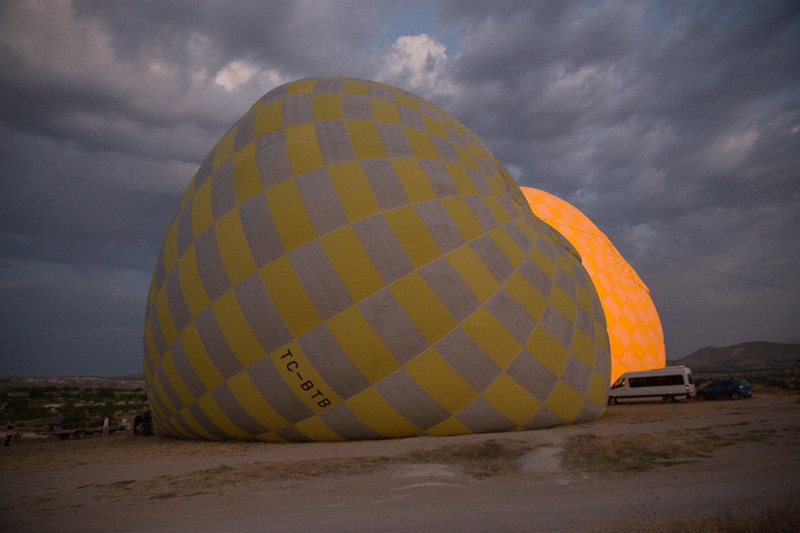 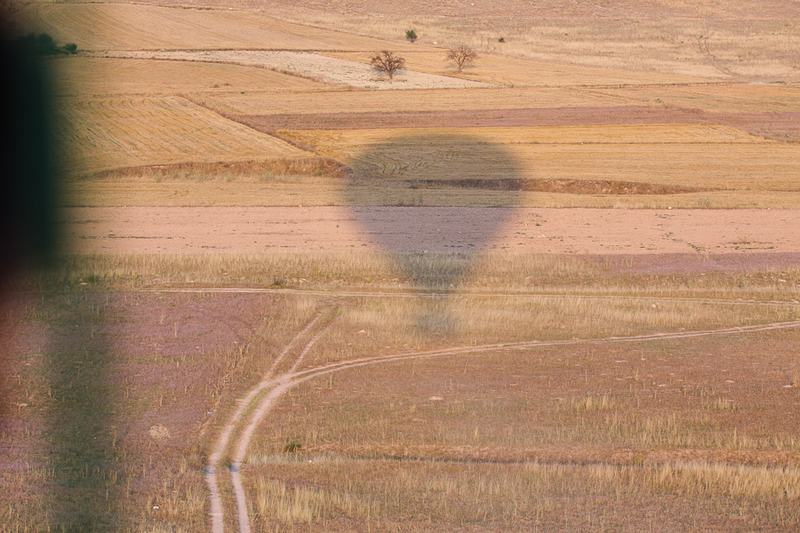 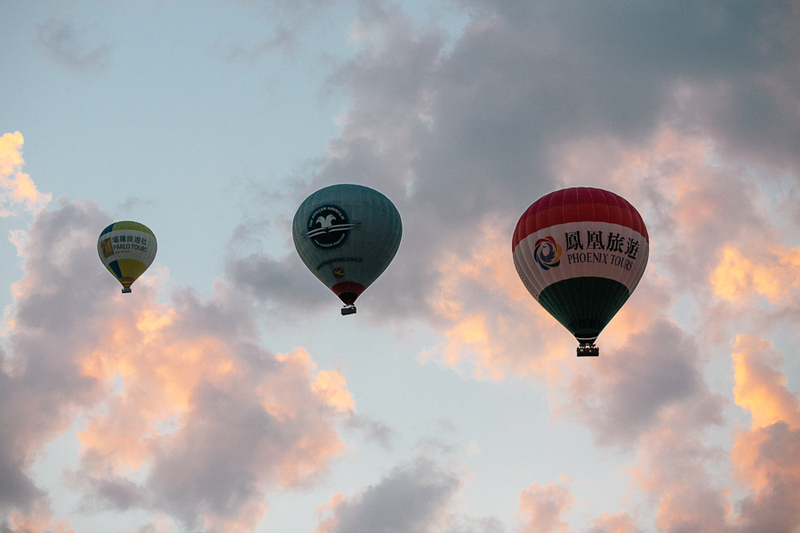 Did you know that hot air balloons can only be steered up and down and not side ways? 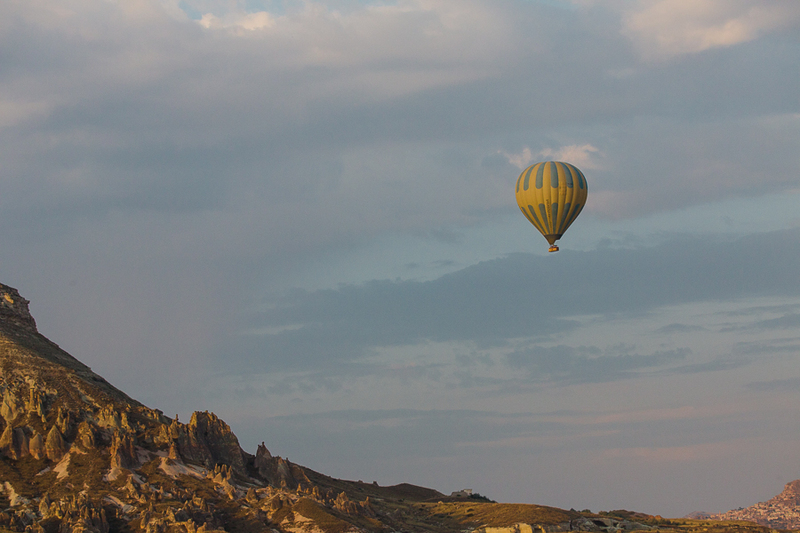 We were at the mercy of the wind. 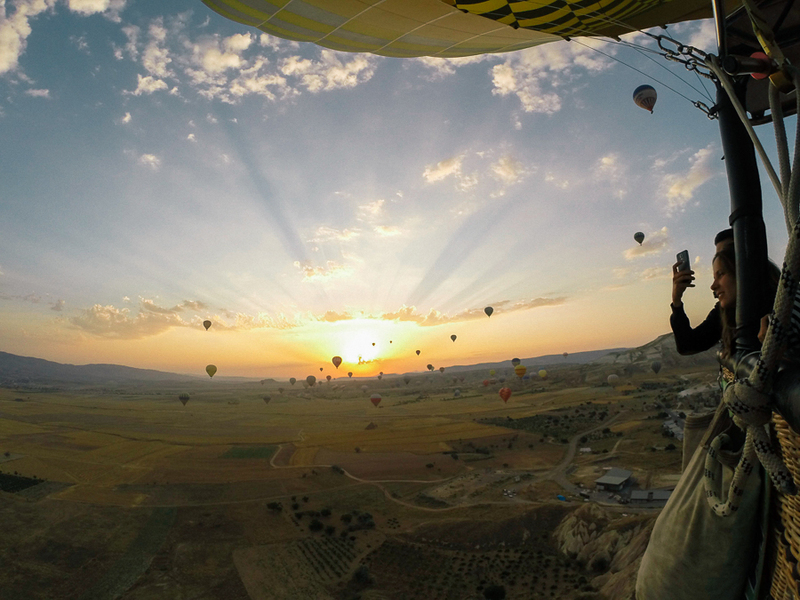 This is about the point where I began holding on to the sides of the basket and praying for a very quick landing. 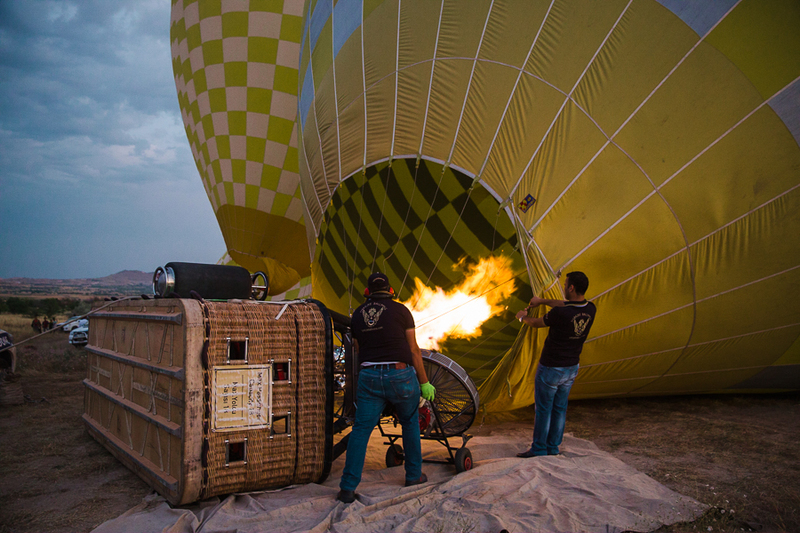 Any of you wondering how they land these things? 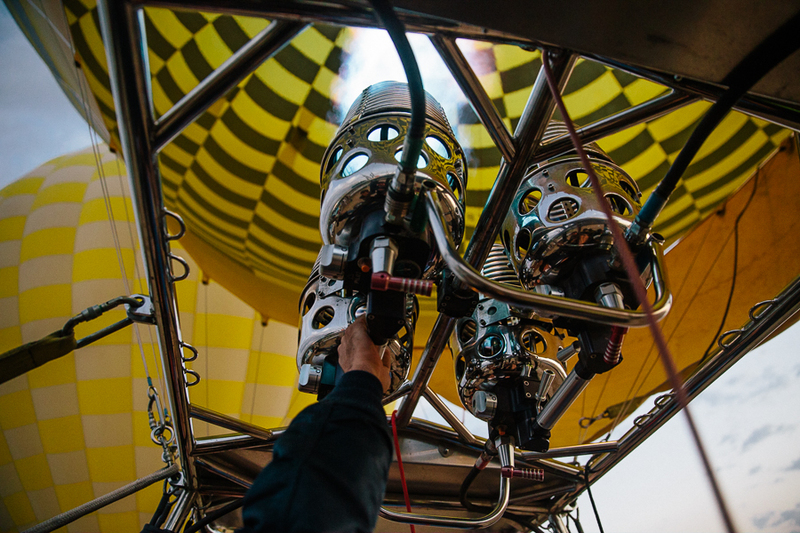 Well you are in luck because Dave Baker had the camera during the landing and he documented the process for you! 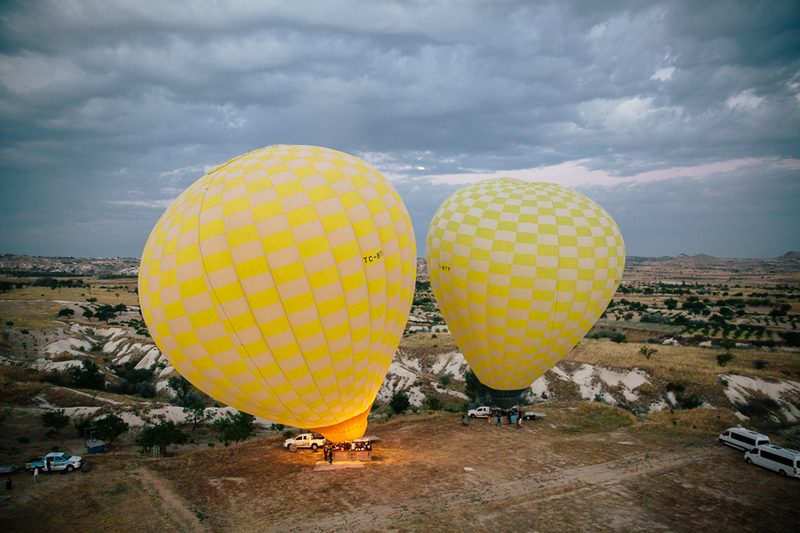 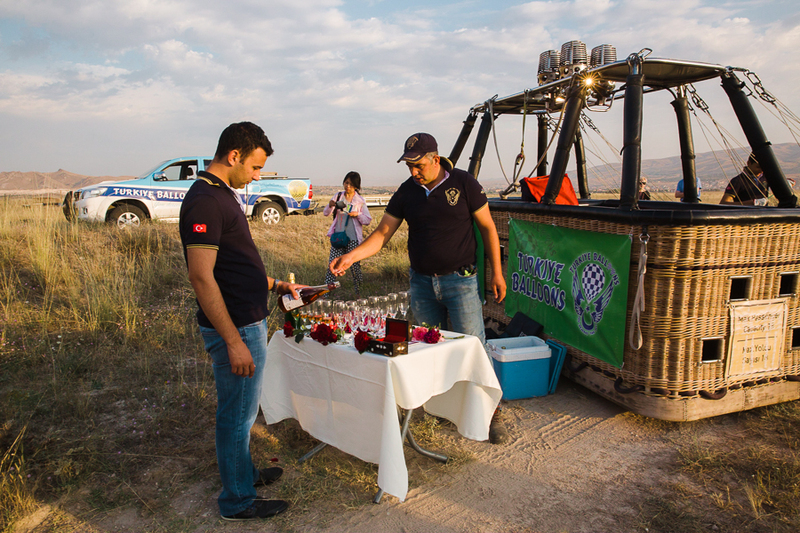 Our tour company Turkiye Balloons was amazing and we loved our pilot! 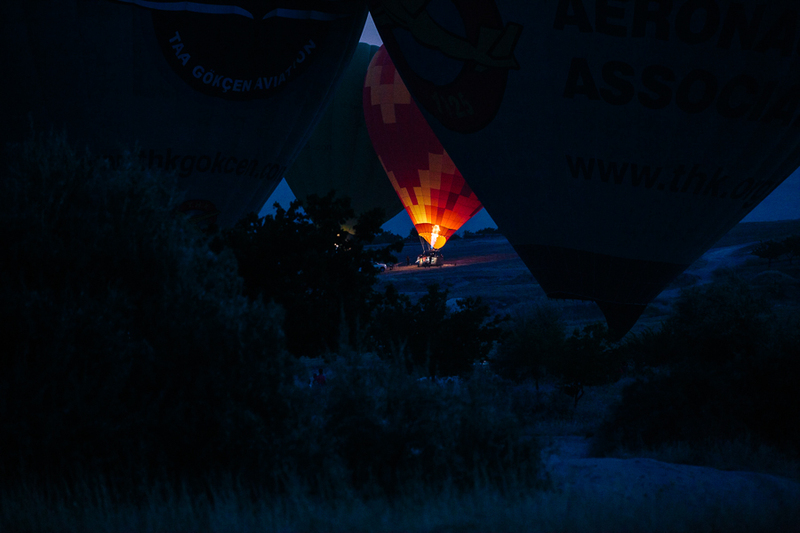 I normally would have loved their landing ceremonies – but all I wanted at this point was a place to lie down. 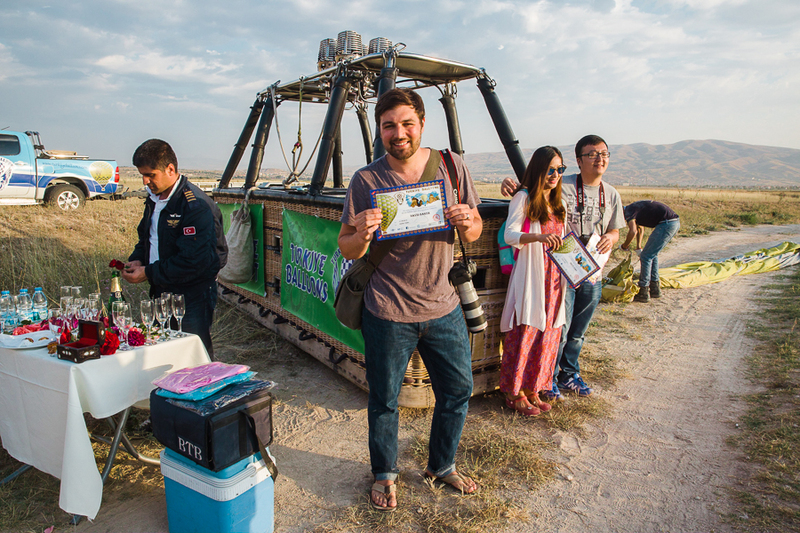 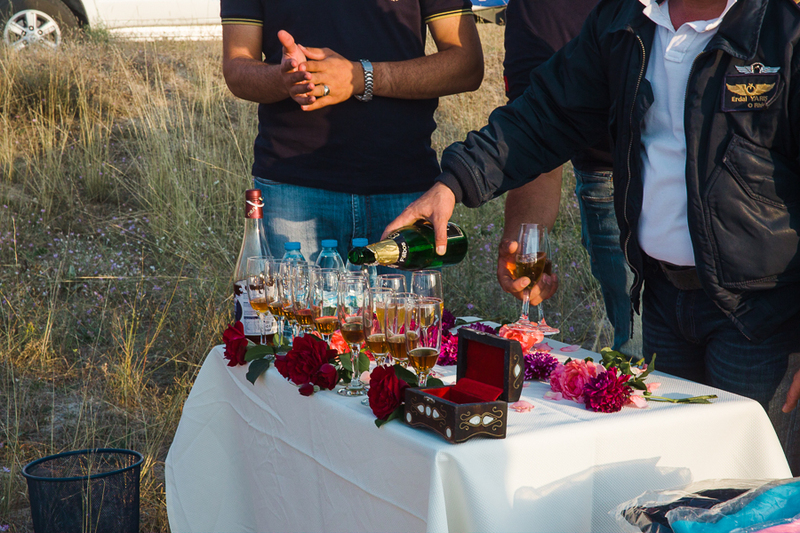 Dave, however, enjoyed both of our champagne toasts and accepted our landing certificate on my behalf. 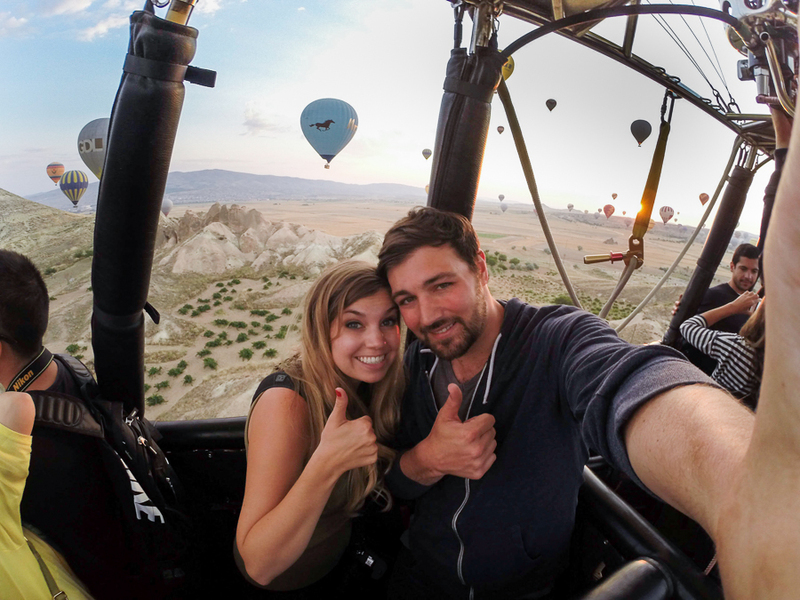 We also took a few photos with our GoPro to get a wider perspective of our view and also to get in a few selfies of us in the hot air balloon. 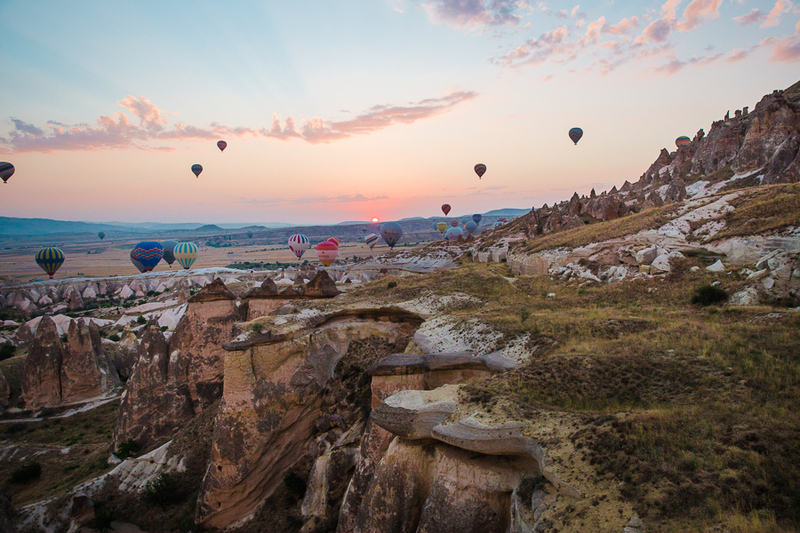 I would absolutely recommend this experience to anyone and everyone. 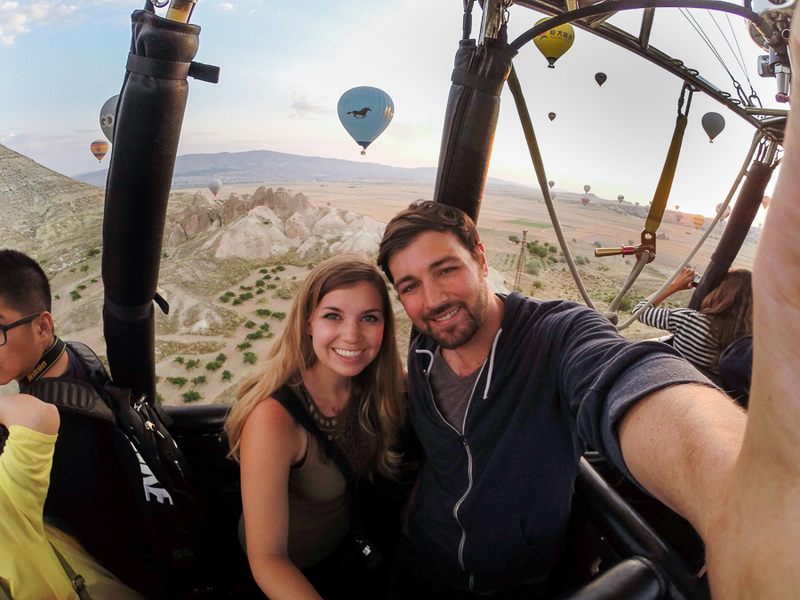 We loved our hot air balloon ride, and for those of you who also have a fear or heights, though I had a brief panic feelings, I mostly felt calm about floating in the balloon. 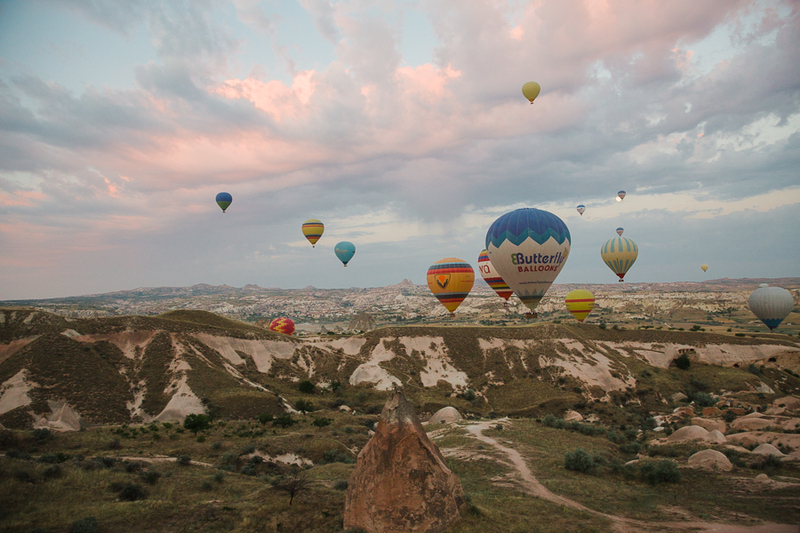 If you ever find yourself in Turkey this experience is definitely worth a detour!